Ok, I admit it. I fell victim to a privacy vulnerability on Facebook. It’s certainly something I’m not proud of, but it happened none-the-less. And let’s be honest here, I knew better. No, I KNOW better. I have read countless articles on privacy measures. I lost my senses over a quiz. And it wasn’t even really a QUIZ it was a silly little site. It was late at night, all my friends were doing it, and dang it I wanted to know who knew me best, or looked like me, or was my biggest fan. Whatever it was, I had to be signed in to Facebook so it could search through my friends list to pluck some random person and deem them as a match. Sure why not? That doesn’t sound like a bad idea at all! At that moment, all I wanted to see were the results. The quiz was popular, all my friends were posting their results, and my personal FOMO (fear of missing out) was in HIGH GEAR. Must. Complete. Quiz. Pleased with the results, I shared the update to show my “match” how cool we were. And then THEY did it. And then their FRIENDS did it. And so it went. Until yesterday. I was notified that my Facebook account had updates posted on it that were clearly not made by me – and not the most appropriate. The one time i don’t have my phone near me for a few hours, and THIS IS WHAT HAPPENS! Face palm. my data was a-ok, I had just agreed to an app to post on my behalf – and not content I supported, either. Below is a helpful screen capture, that in the event this happens to you, you can be protected. It’s always a recommendation of ours to change your passwords frequently and never let a computer system store your data. Let this be a lesson to us all. Login Alerts – It’s exactly as it sounds. GET NOTIFICATIONS via Facebook and/or email if you would like to be notified when your account signs in to Facebook. Login Approvals – Your phone will act as an extra layer of security and a code will be required for you to enter into Facebook in order for it to be used. 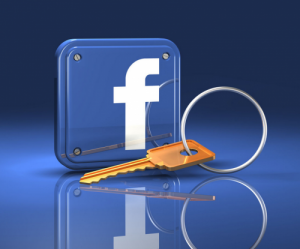 Trusted Contacts – assign Facebook friends as TRUSTED – meaning, they can assist you with regaining access to your account, should you become locked out. Your Browser and Apps – Know where you are signed in. I had about 35 browsers saved, dating back to early 2014. Legacy Contact – Read more HERE. Where you are logged in: SUPER IMPORTANT! I selected this option from my cell phone and saw where my Facebook account was logged into over 95 applications – one of which is the reason this blog is being written.